This article investigates the every-day street-level practice of green public procurement (GPP) in Sweden, a country with one of the most decentralized systems of public administration within the European Union (EU). The street-level procurement officers in Swedish local and regional government are in charge of purchases estimated to represent between 10% and 15% of Sweden’s GDP. This article examines the constraining and enabling factors behind the individual procurement officer’s choice of green procurement in textiles and clothing through a combination of qualitative interviews and a review of documentary sources. 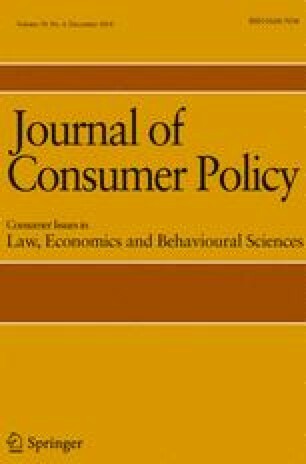 The analysis shows that while indirect support through European and national soft regulation and policy advice is imperative for “greening” procurement, the direct factors which influence the local outcome of GPP comprises factors on the local level: political commitment and environmental knowledge, the organizational structure of local government and the local interpretation of the regulatory framework. This study shows that a decentralized structure has possibilities of furthering ambitions of buying green if there are committed politicians and public officials, an optimal level of internal centralisation and an external support structure of knowledge and enabling rules. SOU. 2013:12 Goda affärer - en strategi för hållbar offentlig upphandling. Government report available at www.regeringen.se/sb/d/108/a/210399. Stockholm County. (2009). Verktyg för miljöanpassad upphandling: Tx – Textil. Available at host.learnways.com/sll/sll_upphandling/template.htm. Accessed March 2013.